The fact that it's practically halfway through September is crazy to me. Halloween decorations (and more -woof!) are filling up store fronts and before you know it we will all be singing Auld Lang Syne to yet another year gone by. But with the end of summer comes a time of getting cozy, falling asleep to rain (hopefully! Us Californian's sure need it!) and crackling fireplaces. 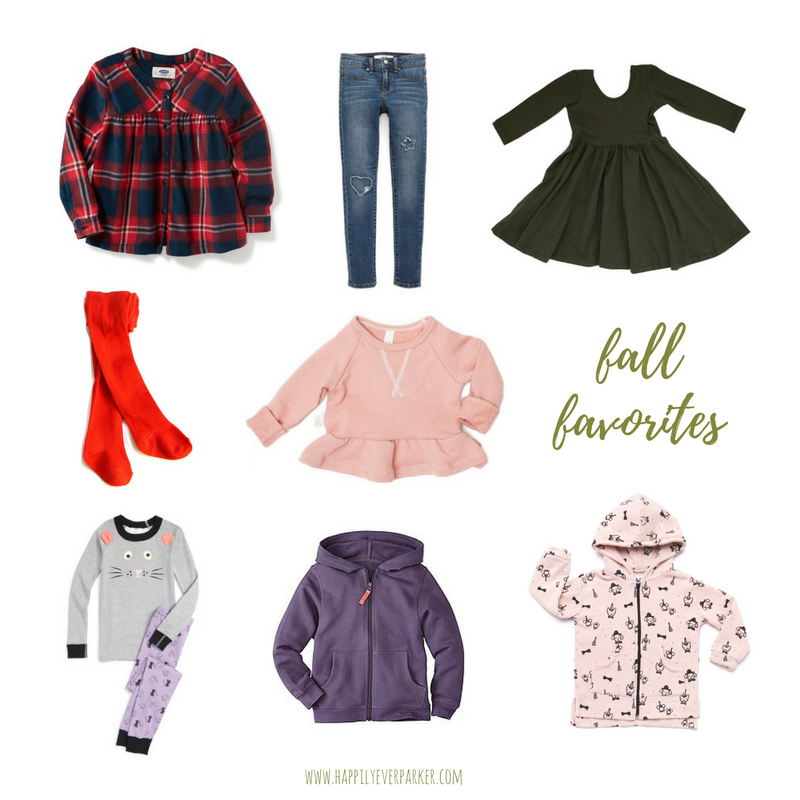 I am loving the choices for toddler wardrobes especially now that P is out of baby clothing (that's tears for a whole other day) and has way more to choose from. As long as she doesn't begin choosing out of her own drawers I should be good. Although these days the "Mickey/Minnie" shoe battle is one I just let her win. I knew I should have waited to bust those out. I love Old Navy for being on trend and not hurting my wallet. I picked up this cute little plaid shirt and a bunch of other pieces for under $75. We were in need of new leggings and long sleeves so we filled our cart on a day with a sale and scored big. Not to mention these adorable boots! I am also absolutely LOVING Childhood's Clothing & Alice + Ames fall lines. I am rather impatiently waiting on a restock of the twirl dress in olive. Holiday photos anyone? And even though pajamas are so low on our need list, I can't help but pine over these adorable mouse pajamas. Hanna Andersson is amazing quality and every once in a while these pajamas have a sale on them. A store just opened up near me so I check every so often. You can also score them (and sell them!) on eBay for about half the price, new with tags. I am so excited for this fall and winter. P is at such a fun age - when she is not saying no - and I can't wait to see her get excited from all the holiday magic. The childhoods peplum is the best thing ever!!! These are all so cute! Tiny clothes are just the cutest. Love love love. I'll take one of each please!